Our 3 in 1 model. 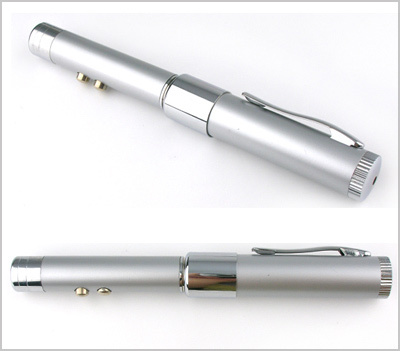 Laser Pointer, LED Light and USB Flash Drive. Ideal gadget for any business meeting. Inches: 5.19" x 0.62" x 0.62"